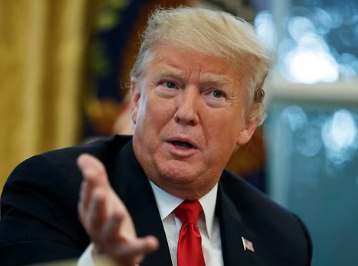 President Donald Trump said on Saturday the United States will exit the Cold-War era Intermediate-Range Nuclear Forces Treaty that eliminated a class of nuclear weapons, in a move that is likely to upset Russia. “Russia has not, unfortunately, honored the agreement so we’re going to terminate the agreement and we’re going to pull out,” Trump told reporters after a rally in Nevada. China is not a party to the treaty and has invested heavily in conventional missiles as part of an anti-access/area denial strategy, while the INF has banned US possession of ground-launched ballistic missiles or cruise missiles of ranges between 500 and 5,500 km (311 and 3,418 miles). Next articleMigrant caravan swells to 5,000 in Mexico, with members vowing to reach U.S.